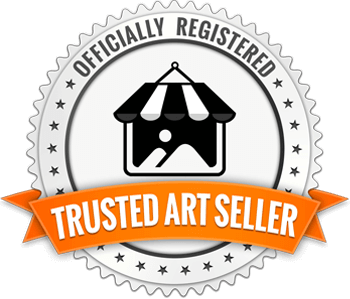 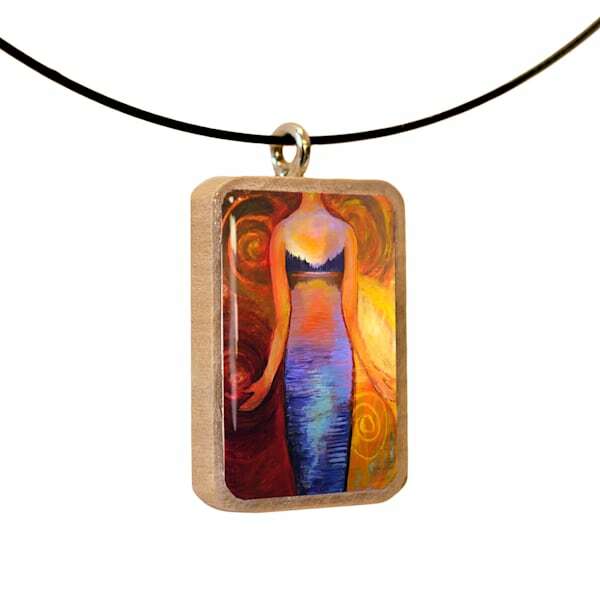 Wear your art! 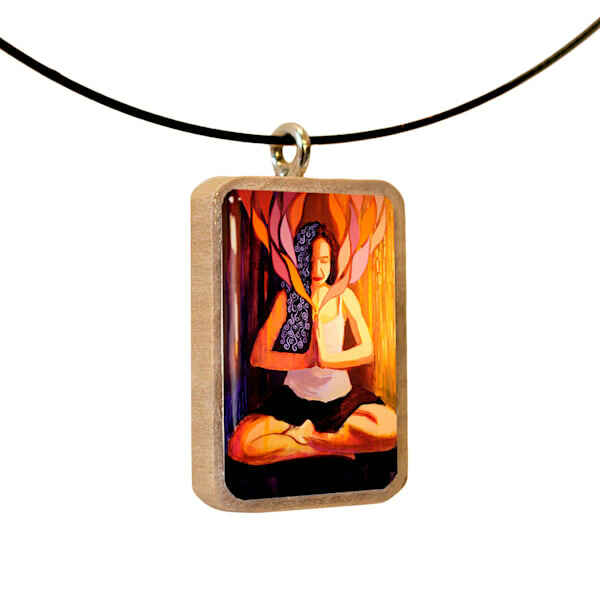 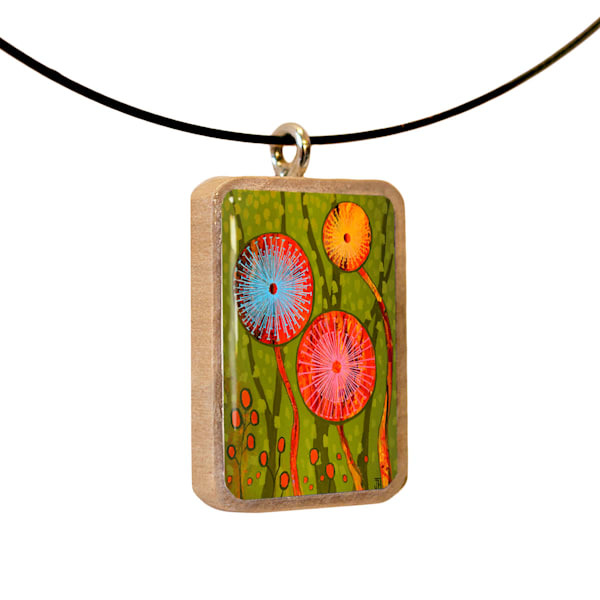 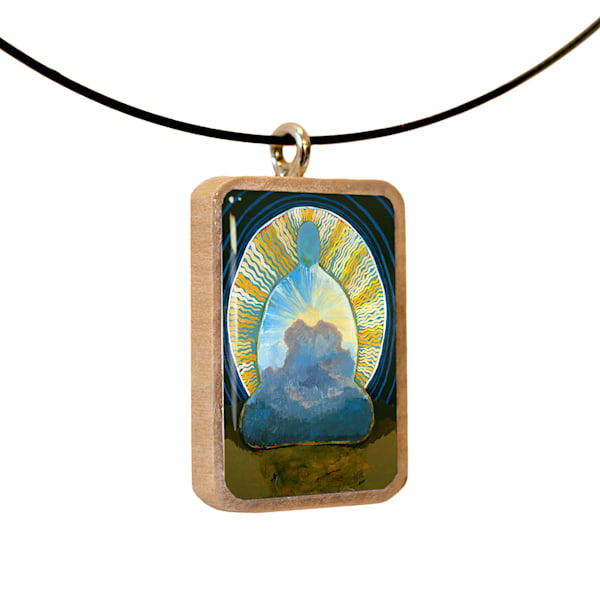 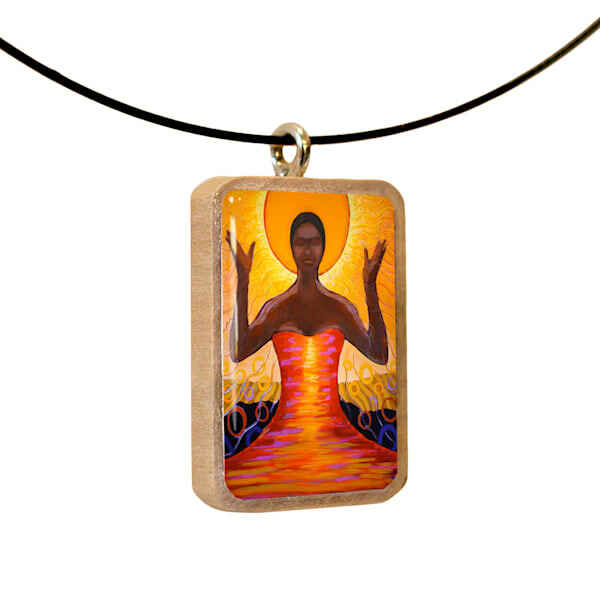 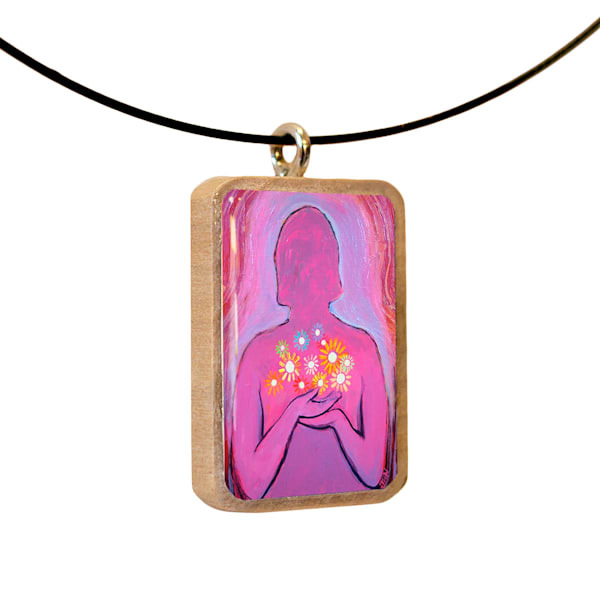 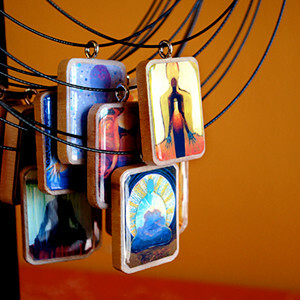 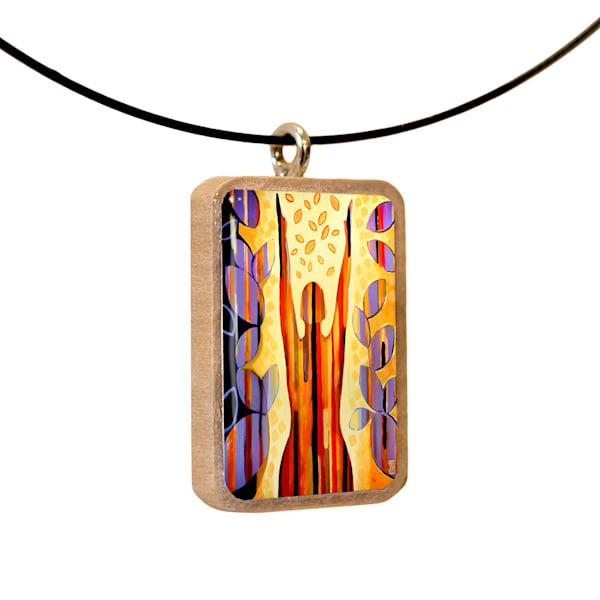 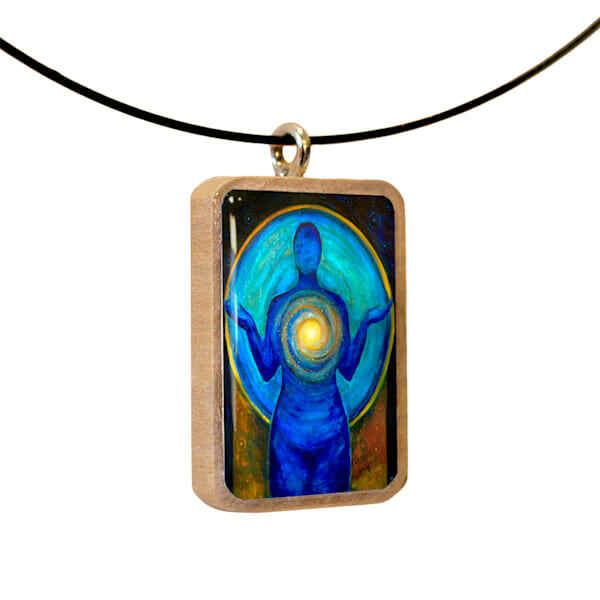 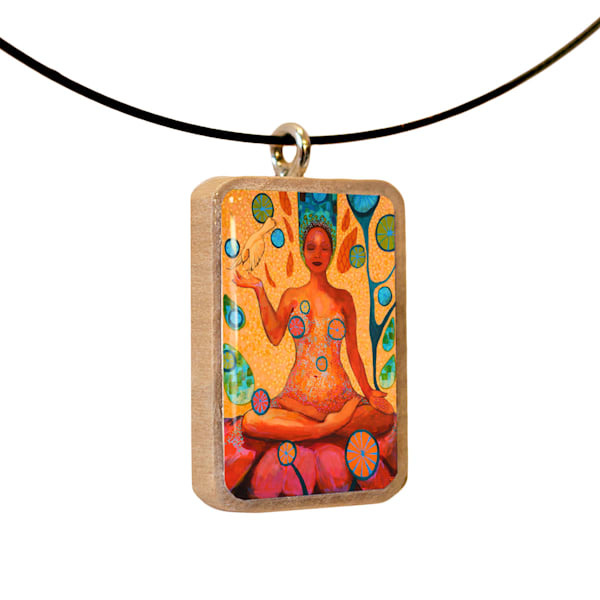 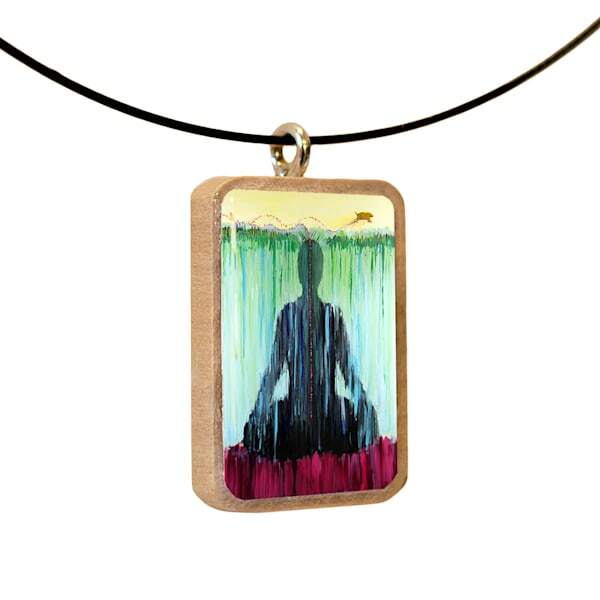 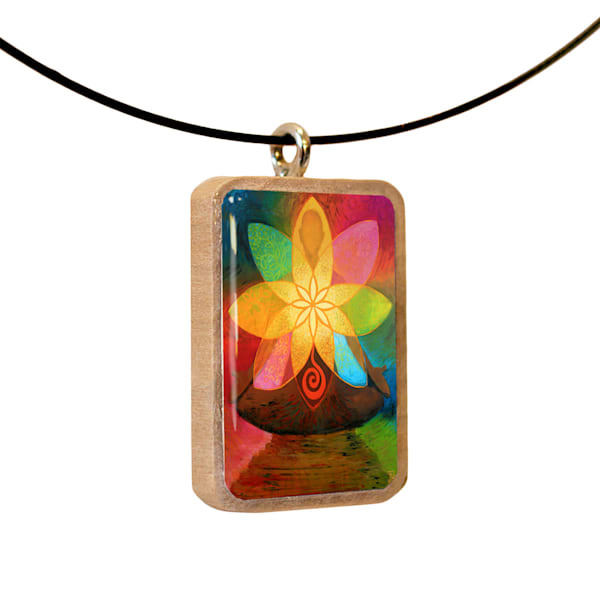 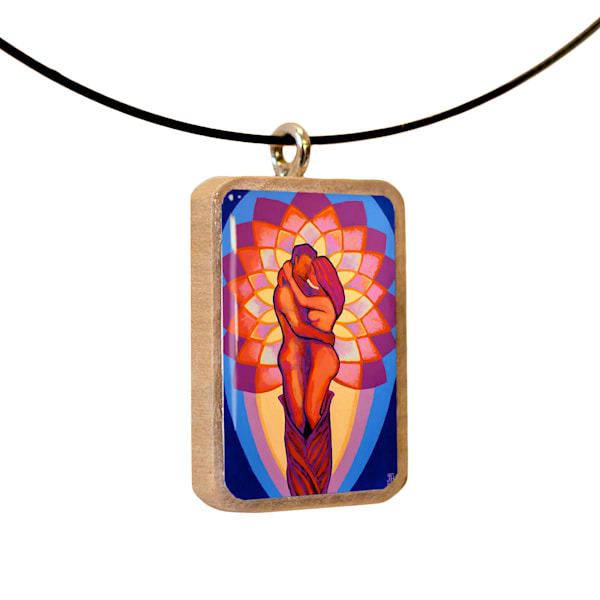 Each of these handcrafted pendants features a miniature art print adhered to a rectangular wooden tile to create a stylish and meaningful piece of wearable art. 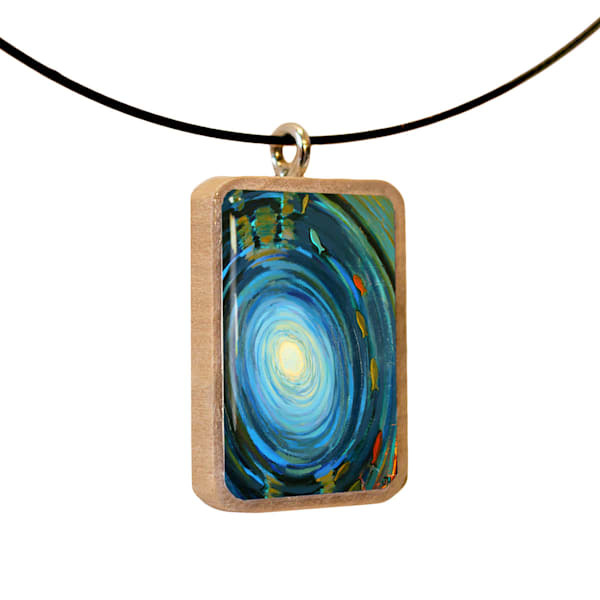 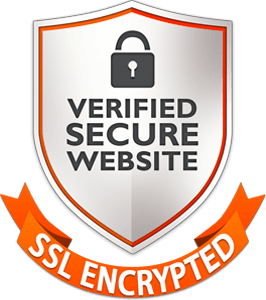 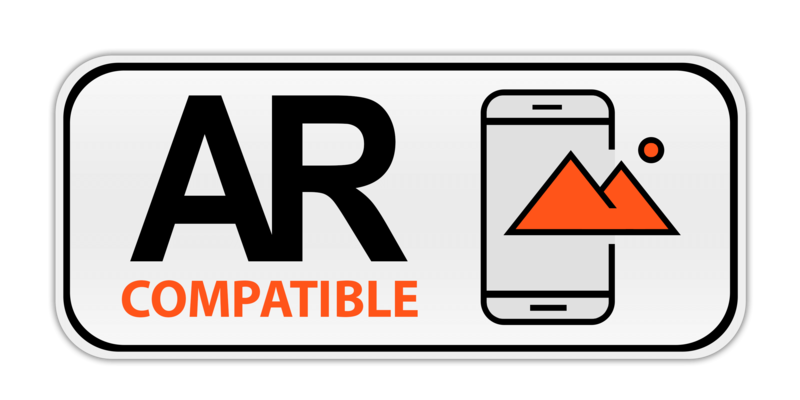 Available on an 18” black coated-steel cable cord with a nickel-free magnetic clasp.